JUPITER, Fla. (AP) — A fugitive kangaroo named Storm has been found safe and sound after several days of searching in South Florida neighborhoods. 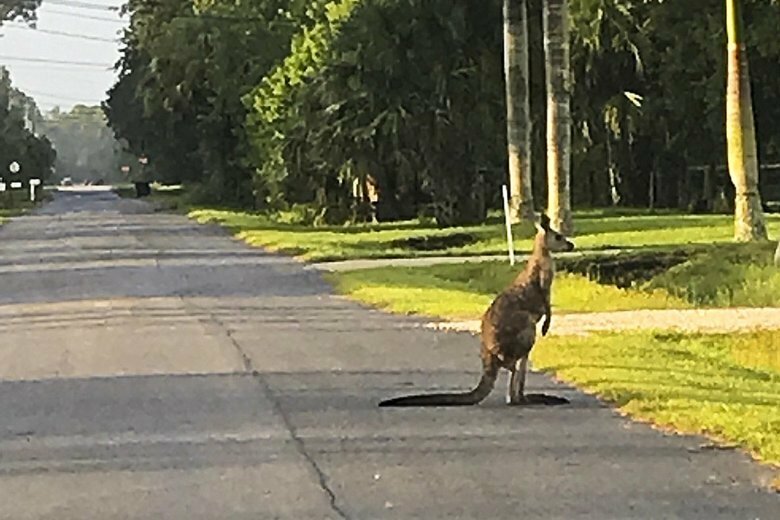 The kangaroo’s owner Eric Westergard tells the Palm Beach Post that wildlife officers found the 4-foot (1-meter) kangaroo early Thursday. Storm hopped away Monday night from Westergard’s Jupiter Farms home, where he also keeps six other kangaroos and other exotic animals. Officers from the Florida Fish and Wildlife Conservation Commission used drones and a K-9 from the Tequesta Police Department as they tracked down the kangaroo. No more details about his capture were immediately available.